Eva Makk spent time in Paris as a young woman and adored the allure and beauty of the romantic city. 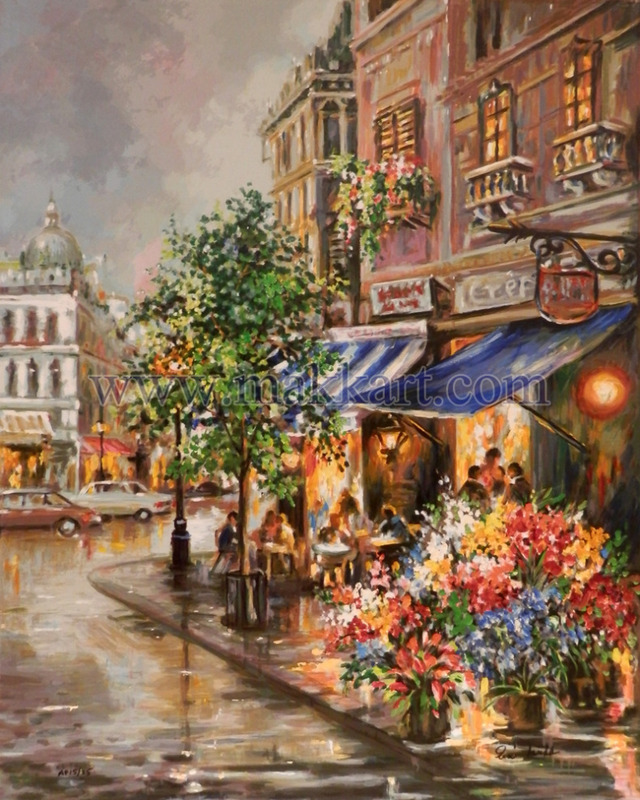 Here she captures the beautiful colors of the array of flowers next to an open cafe. The capture of the reflecting light is spectacular.